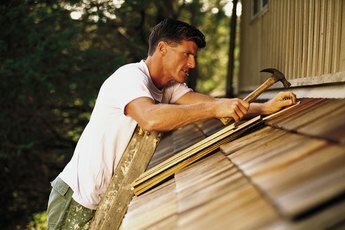 Re-roofing takes basic skills -- and a good sense of balance. Select a roofing company with trained installers and a history of successful roof installations. Interview at least three roofing companies before selecting your favorite. Call the local Better Business Office and take a look at your state attorney general's website to eliminate roofers with frequent consumer complaints. Doing it once correctly saves money. Re-roof during economic downturns or during the "off-season." During these times, roofers often offer discount prices to keep employees working. If the company is booked solid for roofing, it's not the "off-season." Specify the exact re-roofing requirements in the written work contract. This saves money by avoiding misunderstandings as well as extra costs for removing or replacing any materials. This also lets you compare the contractor's work with the manufacturer's installation recommendations. Shop manufacturer and store sales for roofing materials. Sign up for announcements on the manufacturer's websites and scan newspaper and mail advertising. Evaluate what you will have to go through to re-cover an old roof instead of install a new one. Check local building codes to determine the legality of this cost-cutting method. 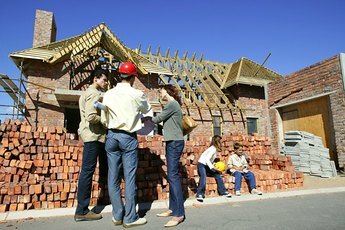 Ask a structural engineer to look at your house to see if it can handle the extra weight. 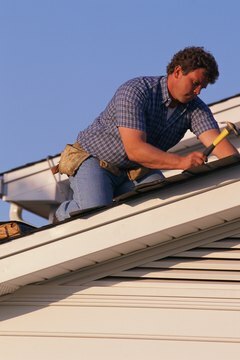 Check with your neighbors to see if they need any roofing work done. Like gardeners and pool cleaners, some roofing companies offer neighborhood discounts. Combine dumpster fees with other home improvement projects or landscaping work around your house. Trash removal fees help escalate roofing costs. If you have aluminum, slate or copper, recycle or sell the material to recoup some of your cash. Select quality materials for the re-roofing operation. 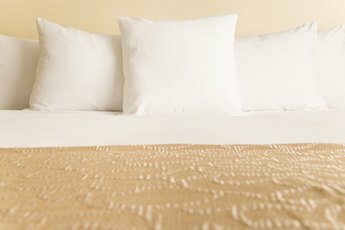 Inexpensive materials might cost less in the short term. But they will also have a shorter roof life, and you'll wind up paying for another repair sooner than you'd like. Reuse roof flashing and metal work in good condition. Not all the old roofing materials need replacement. Ask the installer if reuse materials if possible. If you're doing the work yourself, ask a professional for advice about reuse. Do some of the work yourself. For example, by re-installing gutters or trim work you can save money. Some do-it-yourselfers even have the demolition skills to remove the old roofing. This also saves money. GAF DIY Guide: Are You Up to the Job? How Much Should I Pay for Installing a Refrigerator?